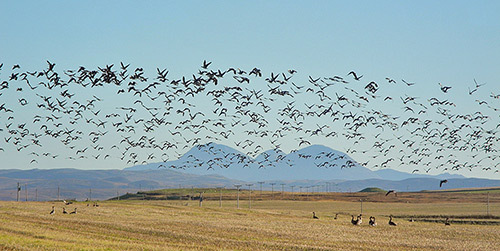 This is a view from near Rockside Farm, large numbers of mostly Barnacle Geese in flight with the Paps of Jura in the background. A wonderful sight. And that's all for tonight. Good night, have a great weekend.